I was shopping for some plants at the next farm down from mine when the farmer, who is a very earthy woman named Alyssa, picked two flowers and commanded my husband and I to eat them. She's very bossy, like me, so we get along pretty well. I knew by the tone of her voice that she was serious about us eating the flowers. I don't know why, but I didn't want to do it. Something in my human mind told me "NO! Don't do it!" But, being the adventuress eater that I am (or at least that I hope I am), I did it. And you know what? It was awesome. 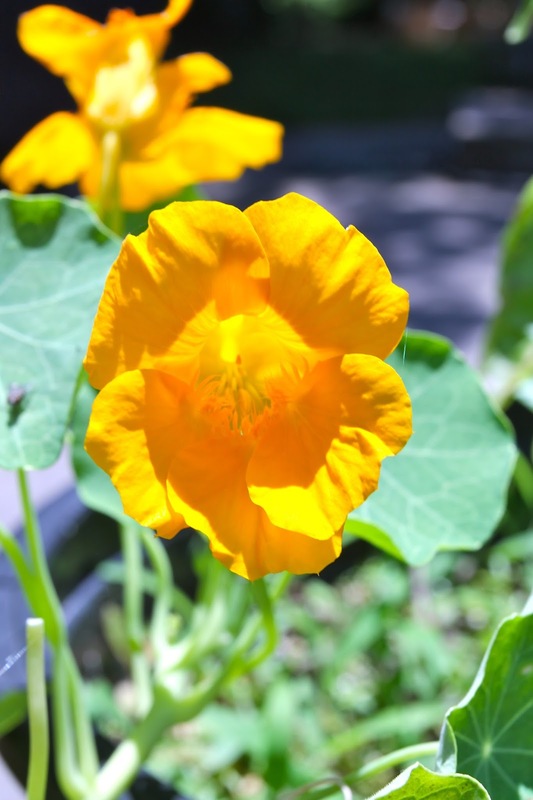 The flower was a nasturtium and it tastes like a radish. And I love radishes. I bought six of them, which she commanded me to put in planters because (as Alyssa likes to say to me over and over and over again) "They are annuals and you put annuals in pots. You put perennials in the ground. If you put a perennial in a pot, it's 'horti-torture'"
Don't tell Alyssa, but I have some basil, thyme, mint and oregano in pots. I'm such a rebel. Now, I make people eat my flowers. I command them and say, "EAT THIS FLOWER!" 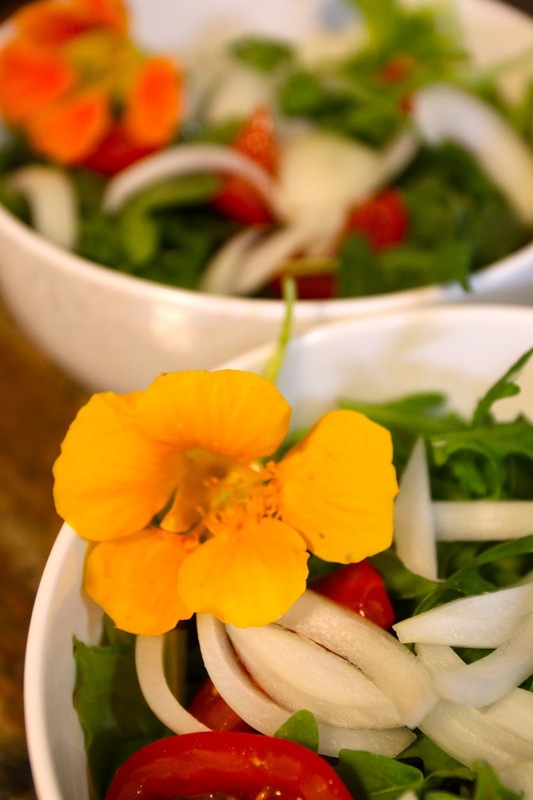 And I also put them on salads because they are beautiful and because they are tasty.